Paul Ryan should run for Speaker of the House under these conditions. John Boehner Reportedly Begging Paul Ryan to Run for Speaker. Should He? House Budget Committee Chairman Paul Ryan during a hearing on Capitol Hill on Feb. 5, 2014, in Washington. Rep. Paul Ryan knew that members would be looking in his direction when Rep. Kevin McCarthy dropped out of the race for speaker. Like most people, he has absolutely no interest in taking that awful job and prefers to fiddle around with tax and budget policy. (Well, more than just fiddle around.) He doesn’t want to be the guy up until 4 a.m. every funding deadline trying, in vain, to talk sense into members like Louie Gohmert; he doesn’t want to fly around the country chasing money. So Ryan rushed out a statement ruling himself out. Ryan supposedly understands the “gravity” of the situation and how he may be the only candidate who can muster 218 Republican votes. He has cleared his schedule for the next couple of days. One imagines Ryan, in solitude, sitting by the fire, thinking very statesmanlike thoughts. Such as: Ugh, do I really have to do this dumb job? What Ryan certainly would want to avoid is another ambush from the few dozen conservatives in the House Freedom Caucus, which effectively vetoed McCarthy’s bid. Sure, he’s supposedly respected by all now. But Tea Partiers are fickle. One day you’re the golden child; the next day you support some compromise bill that they don’t like, and suddenly you’re a left-liberal in cahoots with Obama’s “European-style socialist” agenda. 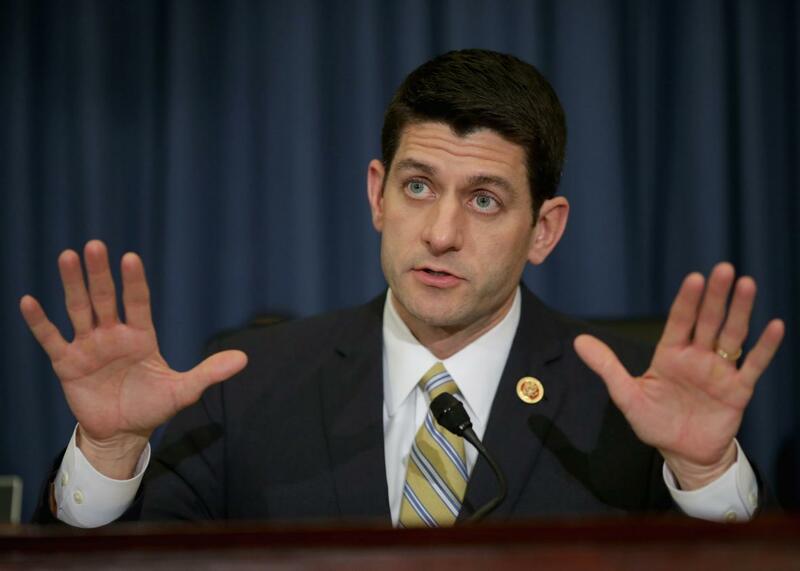 If Ryan is truly as strong as Boehner and others say he is, he should use that as leverage before giving an answer. House conservatives tried to bully McCarthy into accepting a wish list of unrealistic demands, and when he didn’t agree, he had to step aside. Ryan could—and if he’s shrewd, should—turn the tables. He could make the Freedom Caucus pledge (or better yet, sign a contract in blood) not to ever threaten a coup against him. He could demand that they vote with the leadership on critical budget, appropriations, and debt ceiling bills. They would be barred from going to Tortilla Coast to plot with Sen. Ted Cruz. If conservatives don’t agree to his terms, then Ryan shouldn’t bother. But if they really want him, and agree, he would be doing an enormous favor for his party. And though it is America’s worst job, Speaker of the House Who Saved the Broken Republican Party wouldn’t be such a bad chapter to have in one’s legacy.